A Soul Hunter arrives on Babylon 5, to collect a soul. The Minbari, who believe in reincarnation, are especially appalled, but all aliens hate Soul Hunters--while humans have no knowledge of it. "A quaint lie, pretty fantasy. The soul ends with death, unless we act to preserve it." -Three people have three different opinions on the soul in this episode. The Hunter believes the soul normally dissolves upon death unless it is preserved by a Soul Hunter; Franklin believes in no soul; Delenn professes a Minbari belief that there are a set number of Minbari souls. Delenn's belief in reincarnation is so strong that she, who normally avoids violence, immediately tries to kill the Soul Hunter. -First mention of Dukhat, the Minbari leader who died--and for whom 'piles' of Minbari died to stop the Soul Hunters from reaching him. The Soul Hunter alludes to 'fault' in his death when speaking with Sinclair. -Dr. Franklin arrives on Babylon 5. His no-nonsense materialism is established in this episode. -Sinclair takes risks with his own life. -The soul Hunter is especially obsessed with Minbari, especially unusually prominent Minbari like Delenn. He calls Delenn "Satai.," which Sinclair finds out means she is on the "Grey Council." -Delenn tells Sinclair "we were right about you." -Babylon 5 has a slum called 'Downbelow' with a praying mantis-style fixer. Been forever, but one thing that stuck out at me is the Soul Hunter is played by the ridiculously prolific William Morgan Sheppard, father of Mark Sheppard. Hard for me to talk about the soul stuff without getting into some heavy spoilers, but I did think it was fascinating that this is what they were talking about so early in the show's run - we only just had the pilot, and now characters are having some fundamental metaphysical clashes instead of more typical worldbuilding. My girlfriend and I started watching this last night. I've seen most of it (though not all in order); she's never seen it. I was surprised by how much she liked it, given that she's very picky about media. She specifically called out the metaphysical discussions in this episode as one of the better things in the top half of S1 (I'll get to the poorly-aging bits we both laughed at once the rewatch gets there)! I'm surprised how good this looks in streaming. Last I heard, it was not possible to do a HD re-release because, even though the live-action bits were shot on 16:9 in 16mm, the CG was all 4:3 at NTSC. The streaming site linked back in the S1E1 thread has 16:9 and I've noticed a couple of film scratch artifacts, and the live-action bits look better than 480p to me -- am I going crazy or is this a nice re-transfer of the live action bits? One thing B5 did, for its day, was not shy away from the more philosophical and spiritual side of things; this episode will not be unique for that. In the absence of the pilot movie, I think we’re missing some details about Sinclair and his time during the war? yes, they did a new 16:9 transfer of the live action footage for the DVD release a number of years ago. They didn't put any effort into cleaning up the film, so there's a lot of noticeable scratches/dirt/etc. All the CG and live action composite shots are the original 4:3 broadcast master cropped to 16:9 so the difference between the two can be pretty jarring. Yes, that. They explicitly shot the show in 16:9 with the anticipation that widescreen TVs were going to be A Thing, and aired it at 4:3. But they were also running the show on a shoestring budget, with heavy CGI as a cost-cutting measure (iirc) as well as a means of enabling scenes that simply couldn't be done with models -- and when the show originally aired, the effects were really stunning. That they haven't aged well is, in retrospect, unsurprising and also unfortunate. I vaguely remember reading that there was some thought that if rendering costs dropped, they could just re-render the existing CGI bits in the event of a widescreen release, but...well, that obviously didn't happen. The show slowly shifted to using more CGI/live action composites, and those scenes are where the drop in quality is really noticeable; it was something of an unavoidable trade-off between their budget and their desire to actually, you know, show the inside of the station, or the backdrop of a planet in space -- I'd love to have seen a version of B5 where they had a bigger budget for matte painting, specifically. I think that's true (although it's been a while since I watched both back-to-back); iirc, some of Sinclair's backstory from the pilot got moved forward in the season to (among other episodes) And the Sky Full of Stars (1x08) and Legacies (1x17). So it's not so much 'missing,' I think, as it is shifted to a different spot in the narrative. Taken with Midnight on the Firing Line, which sets up the political half of the show, it's interesting to look back and realize just how much this sets up the metaphysical half of the show. And then, uh, there are two episodes that step back and mostly (but not entirely) ignore both of those setups, because '90s television norms I guess? But. Grittiness and sociological/economic implications of their being a slum on a space station aside, B5 consistently delivered on the idea that the station was big, which is a neat trick considering how few actual sets they used.
) iirc, some of Sinclair's backstory from the pilot got moved forward in the season to (among other episodes) And the Sky Full of Stars (1x08) and Legacies (1x17). "Missing" is maybe a poor word choice on my part; I was just trying to clarify to myself some of the context that would be present in the conversations with Sinclair/Delenn in this episode so I don't spoil anything. My problem is that I've watched B5 a few times through and so I sometimes can't remember what is known at given points because it is all a blend. 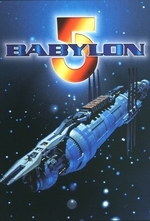 I have a weird approach to this rewatch because I remember loving Babylon 5, but it’s been a decade at least since I saw it, so none of it is in my memory. So I can vaguely appreciate something will be important later, but not why.